Viersen, Germany, 04 August 2016 +++ MailStore Software GmbH, the German specialist for legally compliant email archiving solutions, is continuing along the path to success. Its number of customers continues to steadily rise: 35,000 customers in more than 100 countries rely upon the German company’s email archiving software. MailStore expects to see this figure continue to rise in the future. “Our sales figures and the success of our national and international sales partners speak loud and clear: SMEs are increasingly recognizing the need to professionalize the way they handle email archiving. Our certified, legally compliant archiving is easy to implement and operates securely, which has persuaded managers and IT admins to choose MailStore,” says Philip Weber, Managing Director (MD) at MailStore. 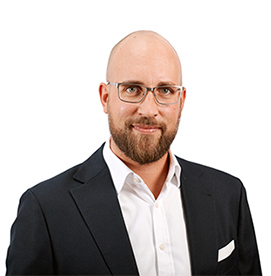 While the founding duo of Tim Berger and Stefan Schultze left MailStore in June 2016 to focus on new projects, Philip Weber is staying on in the position of Managing Director. 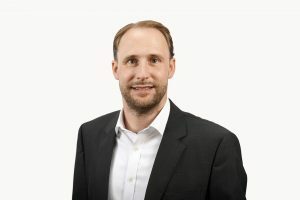 Prior to the purchase of MailStore through Carbonite in 2014, Weber had been serving as Chief Operations Officer (COO) since 2007, and played a decisive role in sustainably structuring and expanding the company. He is now in charge of the management team, which consists of Daniel Weuthen (Director of Engineering), Christian Mussmann (Director of Technical Support), and Roland Latzel (Director of Marketing). Latzel came on board in June 2016, and will continue to expand the email archiving expert’s digital marketing activities. Weber and his team aim to penetrate the SME segment even more deeply in the future on both a national and an international level, in close strategic collaboration with parent company Carbonite. “We are sticking to our path and aiming for sustainable growth. We will achieve that by consistently continuing to develop our software, pursuing targeted expansion of our national and international channel activities, and promoting continued development within the company by taking measures such as making new hires,” Weber continues. MailStore Software GmbH, one of the worldwide leading manufacturers of email archiving solutions, is headquartered in Viersen, Germany (near Düsseldorf) and is a subsidiary of Carbonite, Inc. (Nasdaq: CARB), a U.S. provider of cloud backup and restore solutions. Over 35,000 companies and public and educational institutions in more than 100 different countries have placed their trust in the products of this German specialist. Carbonite is a leading provider of cloud backup and restore solutions for small and midsize businesses. Together with our partners we protect millions of devices and their valuable data for businesses and individuals around the world who rely on us to ensure their important data is secure, available and useful. To learn more visit www.Carbonite.com.